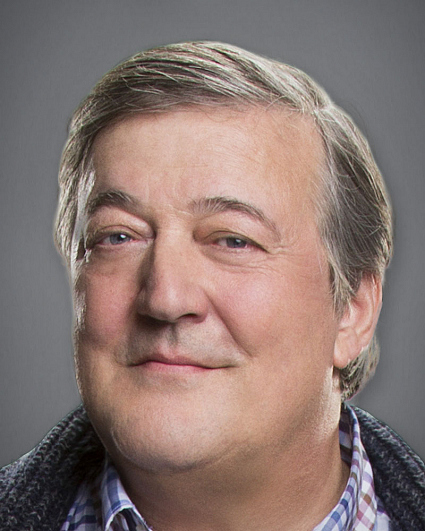 Stephen Fry is an English actor, screenwriter, author, journalist, comedian, television presenter and film director. Additionally, Fry has presented several documentary series, including the Emmy Award-winning “Stephen Fry: The Secret Life of the Manic Depressive.” As a proudly out gay man, the award-winning documentary “Out There,” which chronicles the lives of lesbian, bisexual gay and transgender people around the world, is part of his 30-year advocacy for the rights of the LGBT community. Fry is a graduate of the University of Cambridge in Cambridge, England. As an undergraduate, Fry became involved with the Cambridge Footlights, the university’s theatrical and comedic club. As a Footlights member, Fry met his long-time collaborator and friend, Hugh Laurie. Fry was born in London and lived in the English county of Buckinghamshire until he was 7. He spent the rest of his formative years in the village of Booton in the English county of Norfolk, where his parents still reside. Currently, he lives in Los Angeles. Fry’s birthday is Aug. 24.